While Dansby’s first love is video game design, her work led her to 3D printing, and she’s become an incredibly talented maker who encourages others to experiment and learn through trying, making mistakes, and trying again. “Embrace Failure” is a philosophy she’s adopted, although in her mind, there’s no such thing as failure – only learning experiences. We were lucky enough to be able to speak with Dansby for our Spotlight on Women series. Tell us a bit about your background – your history and the kind of work you do. When did you first get involved with 3D printing? What drew you to the technology? 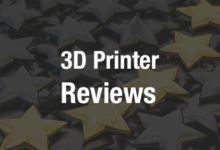 According to your website, the 3D printers you work with are Qidi and Prusa i3 MK2. 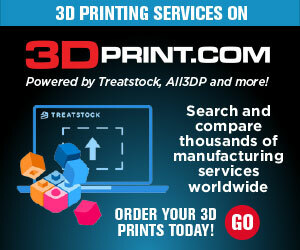 What appealed to you about those printers in particular, and what do you primarily use each one for? “When I first decided to invest in my own 3D Printer for my house, I wasn’t sure how much use I would get from having my own 3D Printer, or if I would burn my house down! Along the way I destroyed a few prints, didn’t level the level bed properly, had a few clogs with different filaments and ruined a few nozzles. I kept my first 3D Print, it was this little shark, and it came out terrible, but the entire journey I have created some amazing prints and every time something didn’t come out right I would learn from that and try to figure out why it failed, I pushed my creative limited through the process of figuring out to improve. I bought the Qidi because of some great reviews online and their customer service was excellent, I was able to talk to someone before I made my purchase. It was around $500 for the printer and it came with 2 rolls of standard ABS and PLA filament. This has been a great starter printer, and I have been able to upgrade a lot of the parts. The printer has a heated bed so I could print other types of filaments, like carbon fiber, and rust iron magatable filament. Do you have a particular project or career achievement that you’re most proud of? Tell us more about your philosophy of embracing failure as a learning experience. Do you think schools and other educational programs could focus more on learning from mistakes? As a successful woman in tech, what are your thoughts about and experiences of diversity in the tech industry? “There is a big division of brains and beauty in the tech industry, you can either have brains and beauty but not both. People will see a pretty girl in pictures or videos working with 3D Printers, or programming and say that company just has a pretty girl to use for their marketing, she probably doesn’t even know what a 3D Printer is. A few years ago when I was attending an expo I 3D printed a sword and I had a vendor ask me about it, I proceeded to tell him I made it with a 3D Printer I own. He laughed and told me he didn’t believe that I could afford to own a 3D Printer, I just smiled and said ‘I said no I don’t have a 3D Printer, I have 2 3D Printers, and I would be happy to 3D Print you something and tell you where to shove it!’ Most people are generally very positive and want to learn how 3D Printers work. I’ve had a guy tell me that the picture of me next to a 3D Printer was cute, he wondered whose printer it was because the girl in the picture had on makeup and had her nails done, it’s not like she knows what she is doing they just put her next to a 3D Printer for photos. What do you think is the biggest obstacle to diversity in tech? What advice would you give to women considering a career in tech, or to girls thinking of pursuing a STEM-focused education? How do you think schools can better engage girls in STEM subjects? “Embrace failure and don’t define success as perfection. I remember playing games and watching movies and there is the princess locked in the tower waiting on a guy to rescue her. In my mind I wanted to be the self rescuing princess and engineer my way out of the castle. Some of the best advice I ever heard was from Adam Savage ‘Everyone knows something you do not, so ask.’ Let them actually make something they are interested in! I’m currently working with the National Videogame Museum on setting up a scholarship for girls in STEM. I would love to see girls make some tech with new technologies on something they’re passionate about. What are some of your plans for the future, in terms of projects and your career overall? Dansby’s attitude toward work and creation is an inspiring one for all ages, but especially for young people who aren’t sure if they can turn what they love into a legitimate career. Dansby is proof that it can be done as long as you have determination, conviction and a willingness to make mistakes – and that tech is cool, no matter if you’re a boy or a girl. 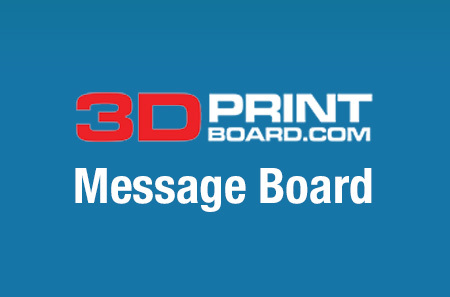 Share your thoughts in the Amie Dansby forum at 3DPB.com.